The application of new paradigm medicine to clinical practice is based on the realization that the ordering-structuring factor in the universe Bohm called “in-formation,” and traditional wisdom named chi or qi (or prana or etheric factor), is the key to maintaining the integrity and safeguarding the health of organisms. Clinical experience confirms the healing power of nature’s in-formation, and the importance of using it in addition to, or in concert with, established methods. In-formation guides formative processes throughout the organism as well as between organisms. It acts on the epigenetic system, the system that guides the activation and suppression of particular genes--which in turn regulates the functioning of the whole organism. In acting on the epigenetic system--the system that determines the activation/suppression of particular genes--“in-formation” determines the response of the organism to the signals that reach it. In the embryo it determines the process whereby stem cells differentiate into normal cells (kidney, lung, liver, brain, and still other cells). Cellular differentiation involves a complex series of precisely sequenced steps, at the end of which every cell in the developing organism shares the same genetic code. Following cell differentiation in the embryo, the two codes remain aligned and use the same system to receive and decode messages. This enables the diverse types of cells in the embryo to "understand" each other. It is known that during the phase of organogenesis (when the organs are forming) in the embryo, regulatory substances are present that correct alterations caused by carcinogens in the embryo’s stem cells. These substances act on the epigenetic code that regulates gene expression in the embryo. They are stem-cell differentiation stage factors (SCDSFs), and they slow or stop the growth of a variety of tumors. The key discovery of information medicine is that substances produced in the dialogue between mother and embryo are effective instruments for inducing the differentiation of mutant and degenerative stem cells in the embryo. These substances are precisely tuned to the embryo’s developmental stage. When extracted and applied to stem cells in other organisms, including the human, they regulate the developmental program of stem cells in those organisms. 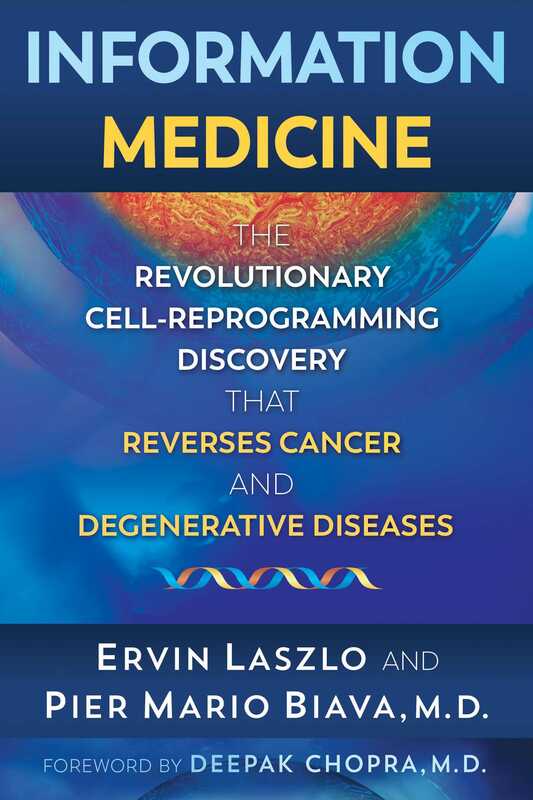 Clinical evidence shows that cells obtained at precisely selected phases of organogenesis differentiate and reprogram cancer cells in the host organism, inducing malignant cells to mutate into normal healthy cells. The new discovery has been tested both in vitro (in the laboratory) and in vivo (under natural conditions). The testing has confirmed the discovery’s effectiveness in cases of serious tumoral and degenerative diseases. – Dwight L. McKee, M.D.